The threshold issue is whether plaintiffs have a reasonable expectation of privacy that is violated when the Government indiscriminately collects their telephone metadata along with the metadata of hundreds of millions of other citizens without any particularized suspicion of wrongdoing, retains all of that metadata for five years, and then queries, analyzes, and investigates that data without prior judicial approval of the investigative targets. I cannot imagine a more ‘indiscriminate’ and ‘arbitrary’ invasion than this systematic and high-tech collection and retention of personal data on virtually every single citizen for purposes of querying and analyzing it without prior judicial approval. Surely, such a program infringes on ‘that degree of privacy’ that the founders enshrined in the Fourth Amendment. Despite progressive victories in 2012, the far right’s outsized influence on the United States Court of Appeals for the District of Columbia Circuit gives them the power to undermine progressive laws and thwart the agenda that Americans elected President Obama to pursue. This court’s decisions affect the entire country, making it second only to the Supreme Court in national importance. (It’s) dominated by right-wing ideologues who are deeply hostile to the use of a robust federal government to tackle national problems and make our lives better. It has exclusive judicial authority over federal agency decisions and regulations affecting everyone. Its rulings are “almost guaranteed to be the last (judicial) word,” said PFAW. It remanded the case back to Judge Richard Leon. Klayman plaintiffs must prove the impossible – provide evidence that their phone records were collected. No ruling was rendered on metadata collection constitutionality. Friday’sdecision effectively endorsed it. EFF explained recent government “releases…make clear that the plaintiffs’ records were in fact collected.” Documents obtained from a New York Times FOIA request revealed Verizon Wireless collects bulk telephone records of its subscribers without their knowledge – at least since 2010, likely earlier. “The government should give up its shell game here and admit the time frame that it collected the Klayman plaintiffs records, along with all other Verizon Wireless customers,” said EFF. 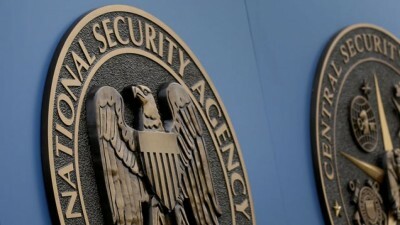 In June 2013, the ACLU challenged “the constitutionality of the National Security Agency’s mass collection of Americans’ phone records (ACLU v. Clapper). Because the NSA’s aggregation of metadata constitutes an invasion of privacy and an unreasonable search, it is unconstitutional under the Fourth Amendment. The call-tracking program also violates the First Amendment, because it vacuums up sensitive information about associational and expressive activity. NSA claims authorization under the Patriot Act’s Section 215 – the so-called “business records” provision. The US Second Circuit Court of Appeals agreed. It held Section 215 of the USA Patriot Act doesn’t permit bulk collection of Americans’ phone records. A three-judge panel ruled unanimously – overturning a lower court decision. The Obama administration argued that the ACLU lacked “standing” to challenge NSA surveillance practices, and Congress “precluded” judicial review except by the secret Foreign Intelligence Surveillance Court most often only hearing government arguments. If the government is correct, it could use Section 215 to collect and store in bulk any other existing metadata available anywhere in the private sector, including metadata associated with financial records, medical records, and electronic communications (including e‐mail and social media information) relating to all Americans. The DC Circuit Appeals Court refused to strike down mass data-mining – violating the constitutional rights of millions of Americans – effectively supporting tyranny by not opposing it. “Instead, it endorsed the government’s argument that no public, adversarial court can review its actions unless those seeking review can prove with some certainty that they were one of the millions whose records were collected,” said EFF. Enactment of the Orwellian USA Freedom Act (the renamed Patriot Act) changed little. NSA and other US spy agencies continue trampling on constitutional protections. Big Brother is real. Unconstitutional mass surveillance is official US policy. It’s one of the most defining characteristics of unchecked police state power. Nor should anyone tolerate unconstitutional intrusiveness.